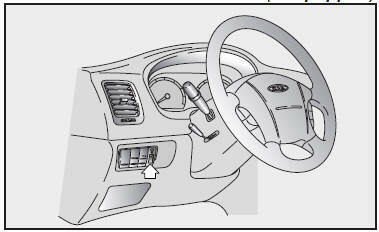 When the vehicle’s parking lights or headlights are on, the instrument panel lights activate. This makes the instruments and controls visible in darkness. To adjust the instrument panel illumination intensity, use the following procedure. 1. Depress the illumination control knob to pop it out. 2. Turn the knob up to brighten the lights or down to dim them. 3. Push the knob in after you select a brightness setting.